Holly Hofmann is the winner of the 2014 Downbeat Critics Poll for Rising Star on Flute. Her newest CD Low Life features her beguiling work on the sensuous alto flute. 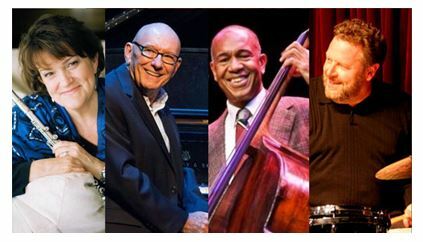 Holly will be performing at The Nash in the company of 3 jazz heavyweights: acclaimed pianist/arranger Mike Wofford, and the dynamic duo of John Clayton on bass and Jeff Hamilton on drums. It’s a show not to be missed!